If you are looking for an apartment for rent in Saar area or near Janabiyah where there are a lot of school and educational facilities, then you have finally reached the right place. Weetas has a dedicated set of flats in Saar district, the set includes a large set of different apartments that vary in all specifications including size, type, location, and amenities. The available apartments are suitable for single professionals, small families, and big families. It’s serene, quiet, and safe where there are many gated residential communities. Compounds in Saar are fancy and offer a top standard of living. If you are considering a flat for rent in Manama you ought to check Saar district. It’s easily accessible from Manama’s highway, it also lies in a perfect location in a close proximity to Seef and Sanabis. No worries about leisure time since Saar has a lot of amenities to hit. There are a lot of options to choose from in Saar, you can find one bedroom, two bedroom, and three bedroom apartments there. 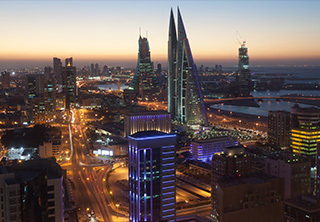 Saar is definitely one of the best locations to find a flat for rent in Bahrain, no matter what you are looking for, you will definitely find it between the available list of apartments for rent in Saar. The area lies near Janabiyah and Budaiya, it is also directly connected to the highway leading to King Fahd Causeway, the bridge connecting between Saudi Arabia and Bahrain island. Both nationals and expatriates looking for flats in Bahrain find Saar apartments very convenient. They can find furnished and semi furnished apartments there. Saar is the home of many top educational facilities like St. Christopher’s School, University College of Bahrain, the Japanese School in Bahrain, and many other. Residents can enjoy also a set of different cafes and restaurants like Cappucino Cafe, Villa Mama, La Avenue, and many other. How to find an apartment in Saar to rent? Easily by searching through weetas and taking advantage of the available smart search engine and filters, you can find a lot of options to choose from. To limit the results, use the filter to refine the listed apartments according to number of bedrooms, location, and price range. Property searchers can find apartments starting from BHD 400 per month. All you need to do is search the feature list, use the search filters to limit down the shown results, check the featured set of images on each property, and filter between the displayed apartments for rent in Saar to find exactly what you are looking for. Once choosing the type of the property you are looking for and typing in the name of the district in the search bar, a stream of flats in Saar will show up variant in all specifications to meet the searchers’ different demands. If you can’t find a satisfying search result between the listed apartments for rent in Saar, you can check the displayed results in the nearby areas like apartments in Janabiyah or Budaiya. You can also contact any of Weetas sales supervisors to offer free consultation service and help you find what you are looking for.